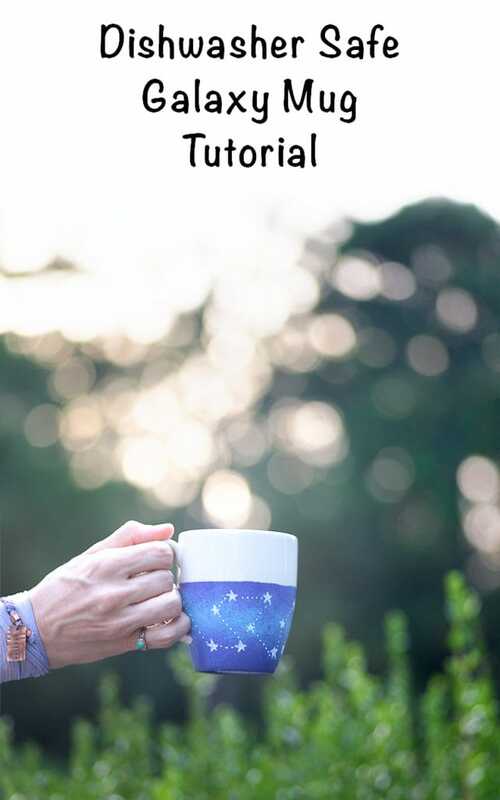 Learn how to make a dishwasher safe galaxy mug with this video tutorial! I am incredibly in love with today’s tutorial and thrilled to have it ready to share with y’all! 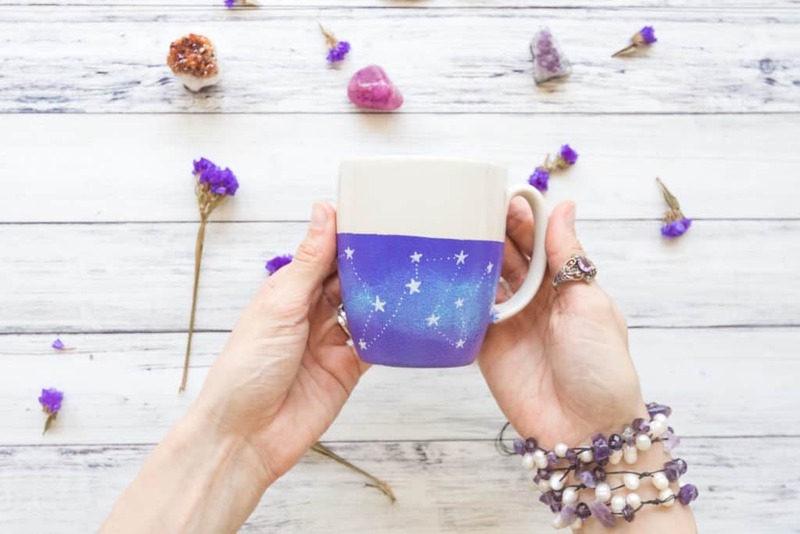 I enjoyed painting these galaxy-inspired mugs so much and I know you’re going to love them, too. They’re awesome looking, inexpensive, and a great way to spruce up a boring plain mug. 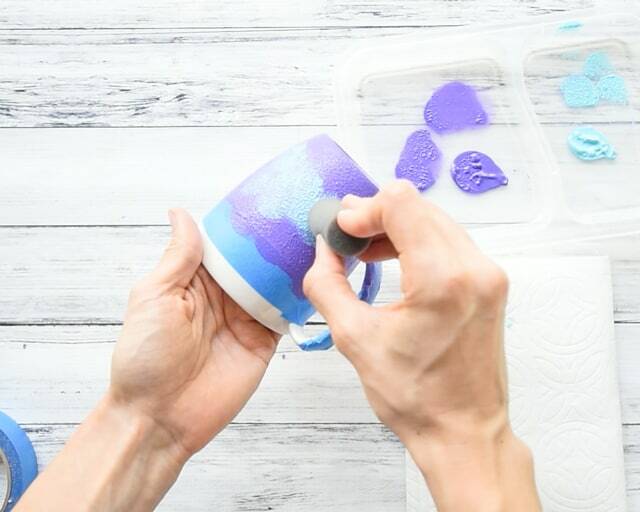 Let’s take a look at how to paint a mug and make it dishwasher safe! A bit of back story on these mugs: when my grandmother passed, I told my uncle I’d take a specific set of dishes back to the ‘old family farm’ in West Virginia. Apparently my cousin did some of the packing up and he got a bit bored with sorting though my grandmother’s things because suddenly I found myself with several boxes of stuff I hadn’t agreed to take! It seems like he just packed up kitchen stuff he didn’t feel like dealing with any more because I literally got several used ‘disposable’ pie plates, a half dozen plastic bowls of dubious cleanliness, and some dirty dishrags. The pair of mugs shown in this tutorial were part of the stuff delivery. When I see blank dishes, I literally see a blank canvas and I knew immediately I had to create a fun tutorial with them! 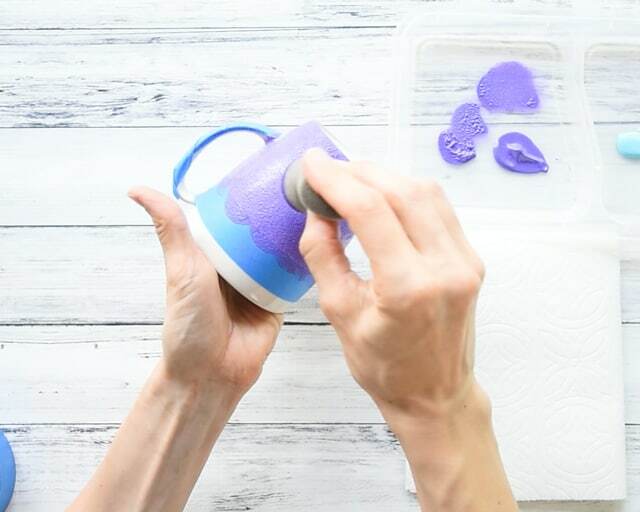 Although I chose to use mugs, you could also follow this exactly same method to create your own dishwasher safe painted glassware. Wouldn’t that be cool? Dishwasher safe paint for glass/ceramics. I used Folk Art Enamels. Foam paint brushes. I used two round pounces. A fine or extra fine tip oil based white paint pen. I used a Sharpie brand, but there are other brands available. Make sure it’s oil based! Quick update! 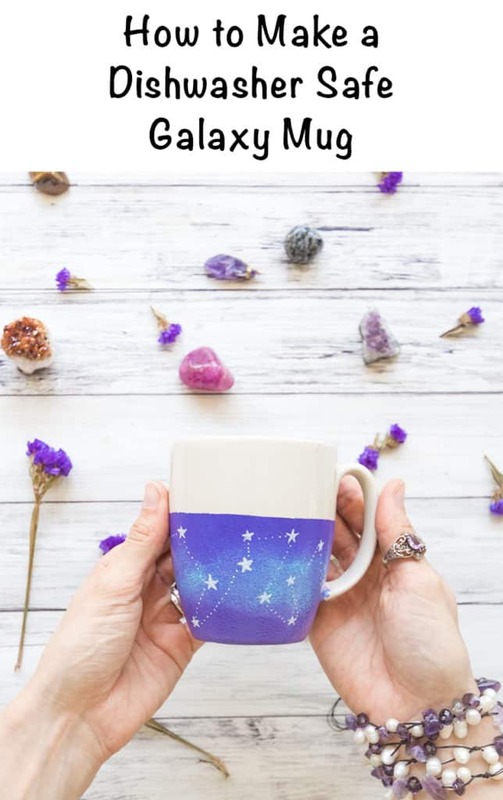 If you’re considering making this galaxy mug as a gift, you might also enjoy this unique coffee mug gift ideas guide! 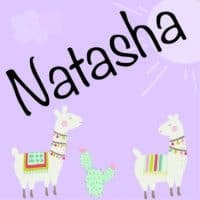 It has tons of unique, themed gifts (like gift ideas for readers, gardeners, and cyclists) that people will actually use and enjoy! Clean your mug with rubbing alcohol to remove any residues. 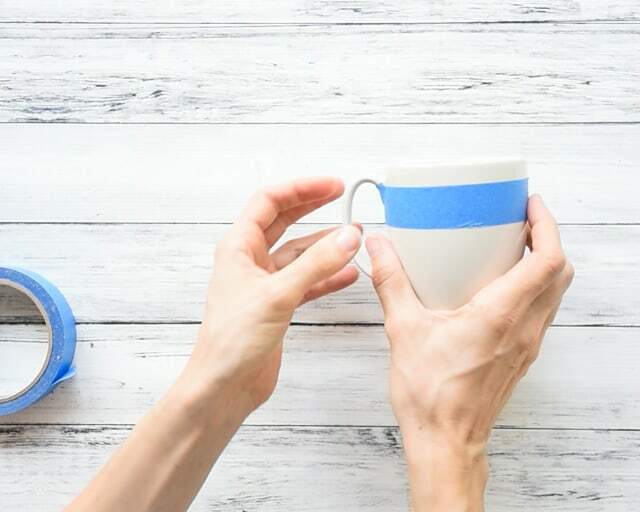 Apply painter’s tape so that you have a blank rim around the lip of your mug. The paint isn’t food safe so this is important! Pounce on your paint. I painted the whole area purple, then came back in to add blue down the middle. Allow the paint to dry fully (I prefer to let it dry overnight), then create a constellation pattern. I created stars connected by dotted lines, but you can do whatever you’d like! Bake or cure according to your paint’s directions before placing in the dishwasher. The Folk Art Enamels need to cure for 21 days or in a 350ºF oven for 30 minutes. Always make sure to place ceramics and glass in a cold oven, bring the oven to temperature, and then allow your piece to cool fully in the oven. 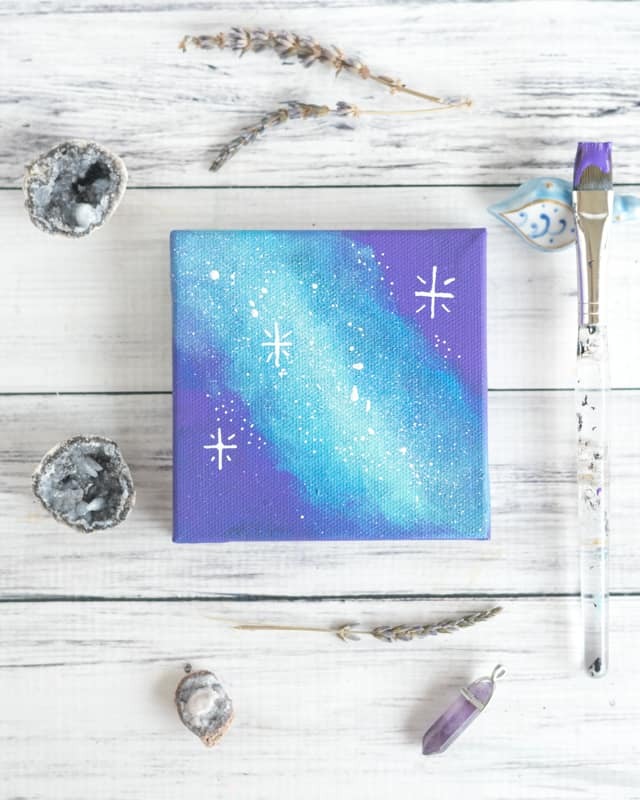 Oh, and I also have this tutorial for painting a galaxy on a wood slice. Maybe I’m a bit of a galaxy painting addict! 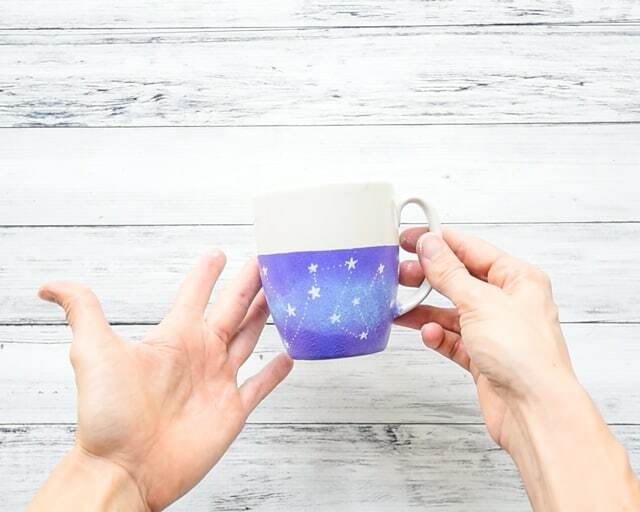 I really hope you enjoy making your own dishwasher safe galaxy mug! If you do and post a photo on social media, please tag me. Someone tagged me with a project just a couple of days ago and it was so much fun to see! 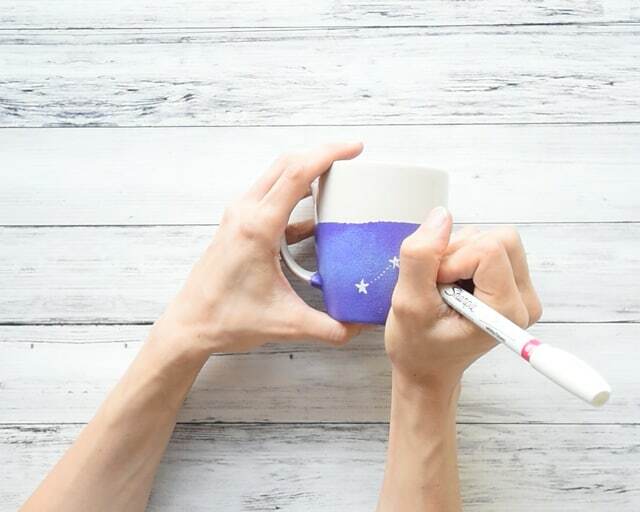 Are there any other mug makeovers or painting projects you’d like to see? Please let me know! Have you tried using star stickers for the stars? Just wondering if it works or if there was trouble peeling them off? Do you mean using stickers as reverse stencils and then removing them? I didn’t try that for this project, but it’s a technique I’ve used before. It would probably work, though you’d have to be careful to avoid peeling off extra paint. If you mean using cut vinyl for stars, you’d want to use a permanent outdoor vinyl (i.e. Oracle 651) and then hand wash only. Have fun!!! Just make sure to cure the paint fully before washing! I’ve made the mistake of not curing the paint according to directions before on a different project and it was sad!